Online oversharing can be downright unsafe, as an app making headlines for being creepy and undermining the privacy of women shows. 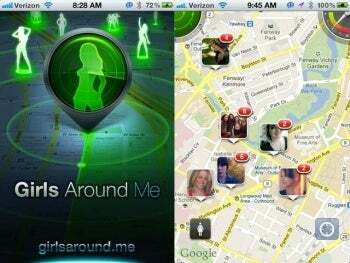 A geo-location based app called Girls Around Me shows users a radar overlaid on top of a Google Map, “out of which throbs numerous holographic women posing like pole dancers in a perpetual state of undress,” Cult of Mac reports. These women who have used their mobile devices to check-in to locations near you aren’t hookers or people looking to hook up. They’re regular women who have innocuously shared their personal information, which then has been mined by technology and then served up to strangers in real time. The app makes use of publicly visible Facebook profiles coupled with Foursquare check-ins. 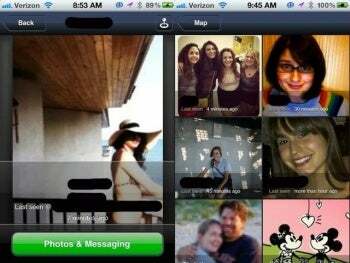 So not only can you see where specific women are hanging out, you also get their pictures from Facebook along with information from their profiles such as their full names, ages, relationship status and whatever else they have shared with the world. The fact the app shares these details with strangers is unnerving, but what’s really disturbing is that “Zoe” shared these details with the world in the first place. People love sharing on their social networks, to a fault. When PCWorld recently posted a story that offered tips to make the recent issue of employers snooping through prospective employees’ Facebook accounts a non-issue some people bristled at the idea of having to edit or curate social media posts for the eyes of others. But here’s the reality: You don’t know who is lurking out there, so be careful. How would you like it if some strange man was able to determine the location of your daughter, sister, wife or mother, then go to where she is and, armed with her personal information as well as likes and dislikes, was able to initiate a conversation? Since Cult of Mac’s story posted, Foursquare has put the ax to the the app’s API access to its data, effectively rendering the app useless. It doesn’t matter. What the Girls Around Me app makes crystal clear is that people share too much online. Even if this particular app fades away because of the media spotlight or Foursquare’s response others like it will inevitably pop up, or nefarious individuals will pursue this kind of profiling on their own. Be smart -- less is better when it comes to sharing personal information online.